India is the oldest living civilization on Earth. India is a one-stop destination with mountains, rivers, jungles, beaches, deserts, exotic forts and palaces, exquisite monuments – undoubtedly one of the most diverse nations in the world. India is an origin of exotic culinary delights and classy fashion. India possesses unlimited opportunity for wellness (the ancient remedy of wellness for the mind, body and soul). Bollywood dancing with Bollywood Stars. 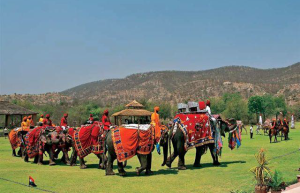 This includes: 5 nights in a 5 star hotel on Bed & Breakfast basis, from 1st May to 30th September 2013, arrival & departure transfers, 2 half day & 1 full day sightseeing tours with entrance to monuments, 5 lunches, 4 dinners & 1 Gala dinner in a Heritage property in Jaipur. The first opportunity relates to experiencing yoga and meditation, two of the most ancient wellness practices in India that stimulate the mind, body, and soul at the Chamba Camp Thiksey and Chamba Camp Diskit, Nubra. It offers superlative luxury tented accommodation surrounded by the majestic Himalayas. The yoga sessions are conducted by Ms. Ira Trivedi, renowned authoress and Master of Yoga, with the highest training-the Acharya training from the famous Shivanand Yoga Vedanta Centre. She has studied and taught yoga around the world, and was part of the team leading the first International Day of Yoga (June 21, 2015) where two Guinness World Records were created –‘for the largest yoga lesson’ and ‘for the most nationalities in a yoga lesson’. She is the founder of Namami Yoga, a charity that teaches yoga and life skills to underprivileged children. Ira has lived all over the world: in four countries, nine cities and three continents. 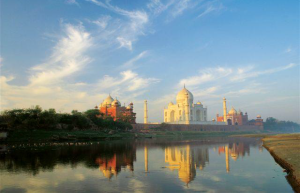 The second opportunity relates to sailing on the holy Ganges river onboard the luxurious Ganges Voyager, India’s first luxury river boat that heralded the advent of river cruising in India. Traveling along the sacred Ganges, you will spend your days immersed in some of India’s most resplendent cities, villages, temples, and forests, beginning in the teeming center of Kolkata (Calcutta). By night, you will relax in luxury aboard the Ganges Voyager, dining on savoring cuisine inspired by local and western tastes, recanting the day’s experiences with fellow passengers, or gazing along the gently passing riverbanks for India’s iconic wildlife. 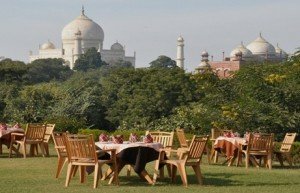 In addition to this unique experience of sailing on the Ganges, we have included a five-night pre tour across the fabled Golden Triangle that gives your clients an opportunity to experience one of the most popular circuits within India, including a visit to the mesmerizing Taj Mahal.